Crave Interactive Recognized as the World’s Leading Guest Room Tablet Vendor. 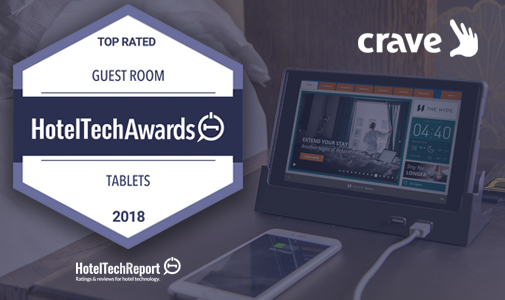 Crave Interactive named 2018’s Top-Rated Guest Room Tablet Provider in the Hotel Tech Report Awards. London 13 February 2018. 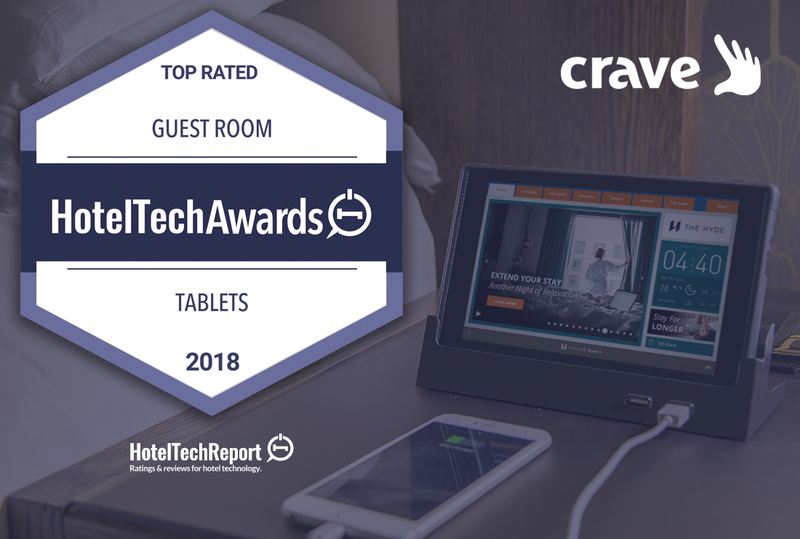 Crave Interactive, the world leading developer of cloud-based digital guest service solutions for hotels, today announced it has been named 2018’s top rated Guest Room Tablet provider by Hotel Tech Report. The award is based on data and opinions from thousands of hoteliers in more than 40 countries around the world. Over 100 of the world’s elite hotel technology vendors competed for the prestigious awards. Hotel clients submitted detailed reviews of the products and services offered, with each vendor allocated a score out of 100. Crave achieved a score of 96 with many clients submitting detailed reviews, each verified as genuine by Hotel Tech Report. Subjective data from unbiased customer reviews enables decision makers to see how well vendors deliver on their promises. The winners of the HotelTechAwards are the companies who have both world class products and incredibly strong relationships with their customers. The prestigious accolade solidifies Crave’s position as the undisputed world leader in in-room tablets, and follows Crave being awarded “Champion” status in 2017 by Info-Tech Research Group. The company is poised for accelerated growth in 2018, and this award serves as a shining example of their ability to deliver great ROI and service to its clients world-wide. “In the age of smartphones and smart homes, guests increasingly expect their hotel rooms to be smart, too. Tablets not only provide a seamless user experience for guests upon arrival but have been proven to drive increased ancillary revenue and incredible ROIs. Crave is well positioned to capitalize on the trend,” says Hotel Tech Report’s Adam Hollander.